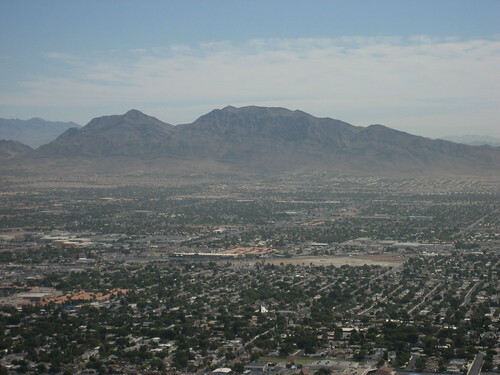 Everybody knows Las Vegas, situated in the middle of the desert in Nevada. The city is internationally renowned for its casinos, shopping centers and extravagant hotels. 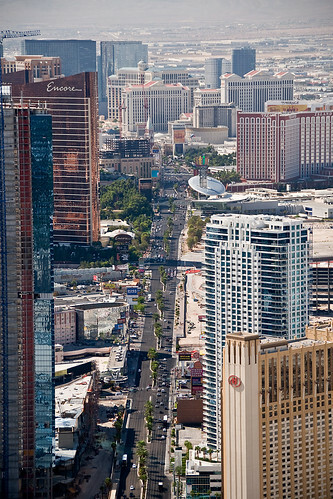 The biggest and most recent hotel casinos can be found on The Strip, a 6.1 kilometer stretch of Las Vegas Boulevard, South of the city of Las Vegas. 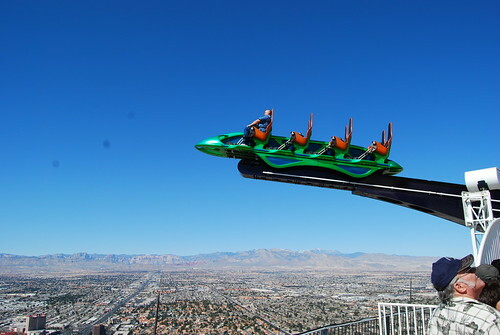 Among the hotel casinos, there is Stratosphere Las Vegas, with its big attraction: the 1,119 foot/ 350 meter Stratosphere Tower. Photo credit: Deb and Dave on Flicker. 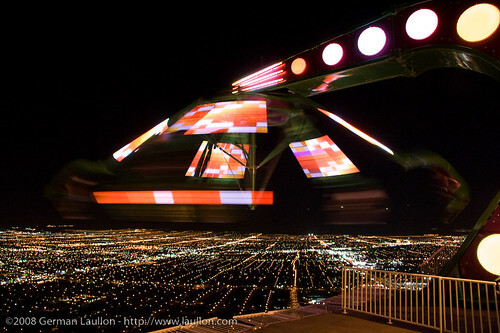 At the top of the tower, you can find some rides (= manèges). 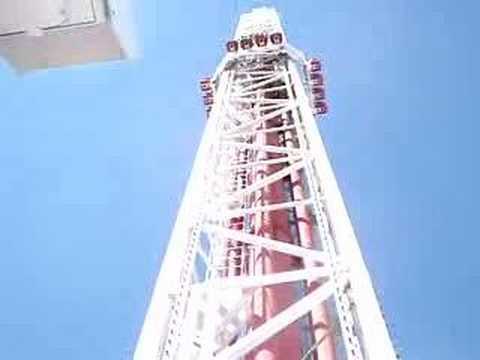 This ride, called Insanity, dangles (= balancer, suspendre) people over the edge of the tower and then spins (=tournoyer) in a circular pattern. 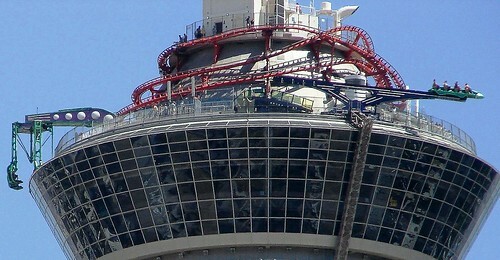 It is the second highest ride in the world. The third ride is called X-scream. 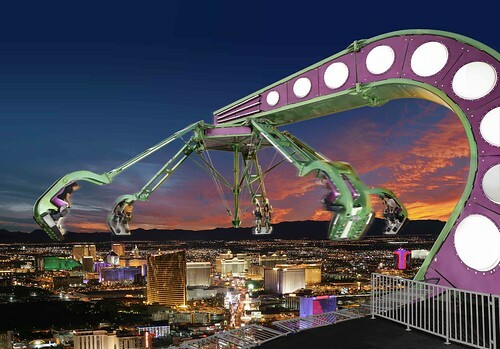 It sends you out 24 feet (more than 7 meters) over the edge of the observation platform then tilts (= incliner, pencher) you downwards to view the Strip hotels. The view must be unforgettable! 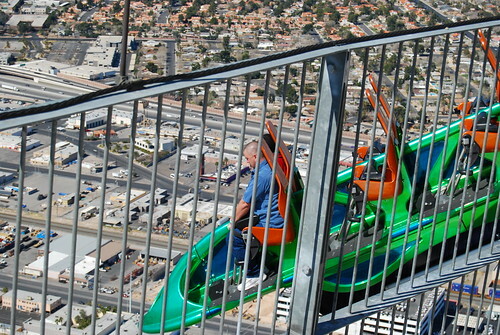 Are there any thrill seekers (= amateurs de sensations fortes) who would like to try one of these rides? This entry was posted on février jeudi, 2010 at 20:42	and is filed under Civilization, USA. You can follow any responses to this entry through the RSS 2.0 feed. You can leave a response, or trackback from your own site.